Recently Motorbooks sent me a review copy of a book from their First Gear series titled simply Porsche. It’s a bit smaller size, but nice and thick with 240 pages of Porsche goodness. The First Gear series offers more of an intro type of book covering a broad range of automotive topics including motorsports, car collecting, custom semi-trucks (I’d like to see that one!) and brand specific such as Porsche. They aren’t meant to be in depth, technical reads, but instead provide general information about the niche topic with lots of enticing pictures. Porsche covers pretty much every model ever produced by Porsche, including both road and race vehicles. The model number/name is printed on the edge of each page for easy reference. A brief company introduction kicks the book off. Since they say a picture is worth a thousand words, I’d estimate this book to be worth about 400,000 words. The book is VERY image heavy and is a joy to look through. The photos are sure to please any Porsche enthusiast, and they just keep on coming page after page. It felt like a shrunken down coffee table book that you could actually throw in your bag to look through on a flight or when you had a few minutes of down time. Porsche isn’t going to quench your thirst for intricate details or in depth information about specific Porsche models, but it’s an enjoyable book that serves as a great introduction to the marque and a great reminder of why we love these cars so much. I’d recommend picking up a copy of this book for your bookshelf. 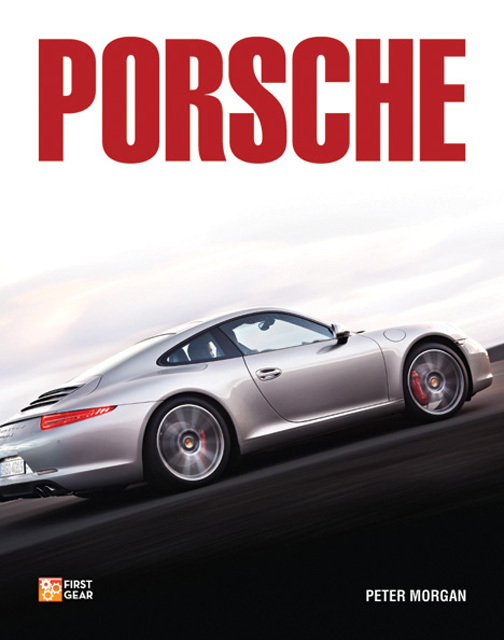 Check it out here: Porsche (First Gear Series).